Ticket pricing is from $199 to $399. Please visit the Field of Dreams website for contact information and for more details or call (702) 792-8233. Mike Tyson is a former undisputed heavyweight champion of the world and holds the record as the youngest boxer to win the WBC, WBA and IBF heavyweight titles at 20 years old. Mike Tyson, has a new role as the star of a one-man, 36-city road show called “Mike Tyson: Undisputed Truth”, which details his rise from the streets of Brooklyn to champion boxer. The show is currently playing at the MGM Grand in Las Vegas, NV. In 2012 film director Spike Lee watched Mike Tyson during a news conference about the Broadway debut of a run of Tyson’s show in New York and then directed the six-night limited engagement. Sports Speakers 360 is a booking agent for pro athletes. 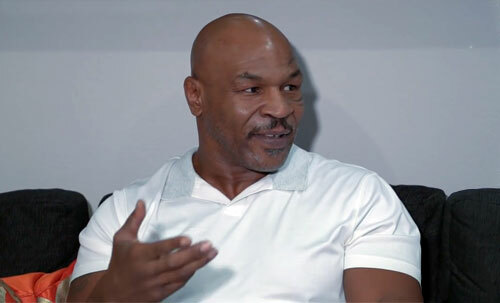 If you would like to book Mike Tyson for a speaking engagement, appearance or endorsement, contact a Mike Tyson booking agent for fees at 1.855.303.5450.